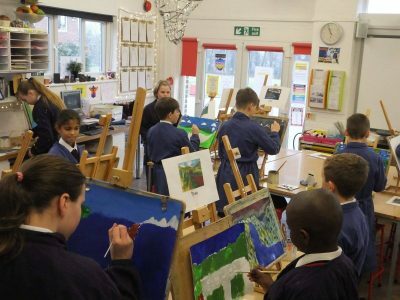 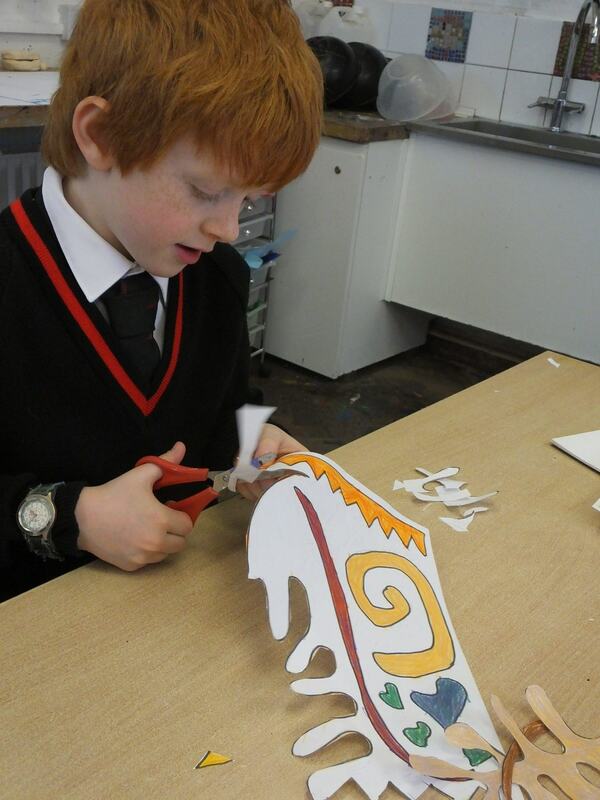 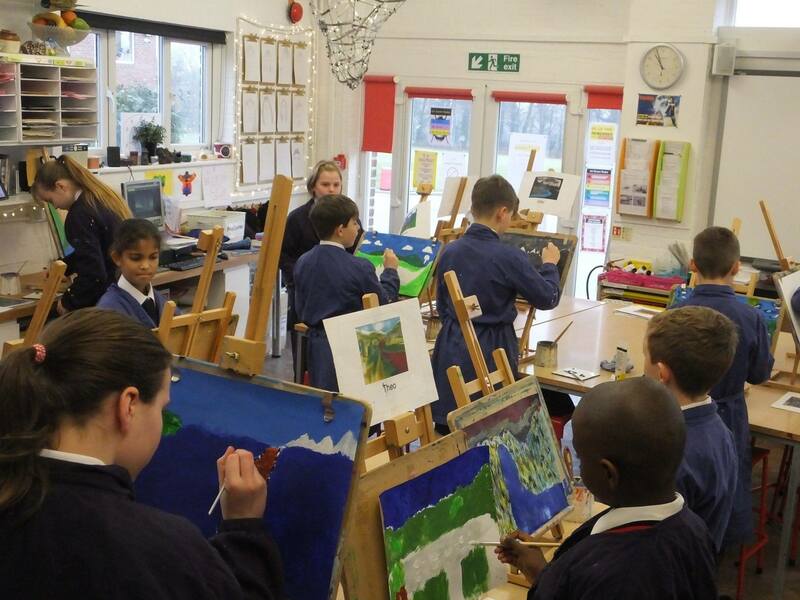 It’s been another busy week in the Art Room. Year 3 have been looking at Henri Matisse’s cut outs. 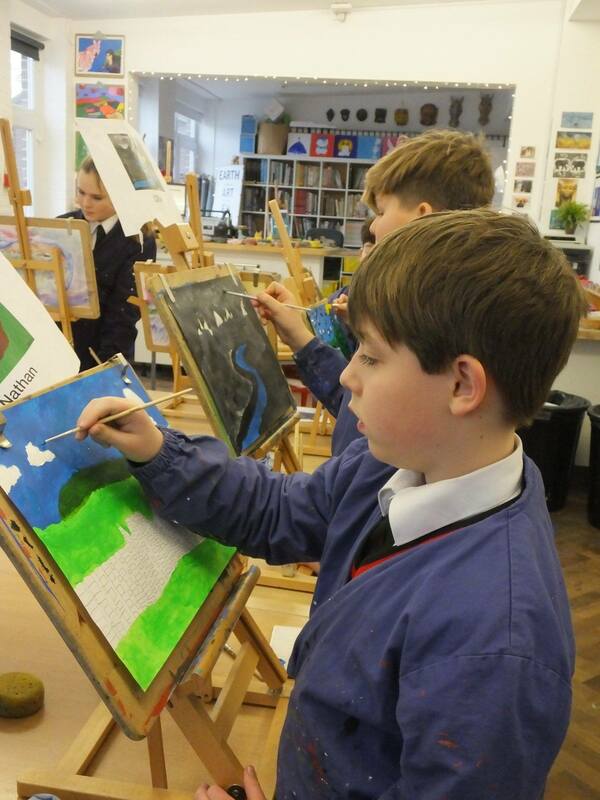 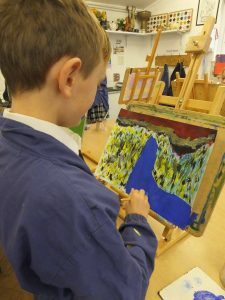 Year 6 have been busy painting their own Hockney landscapes. 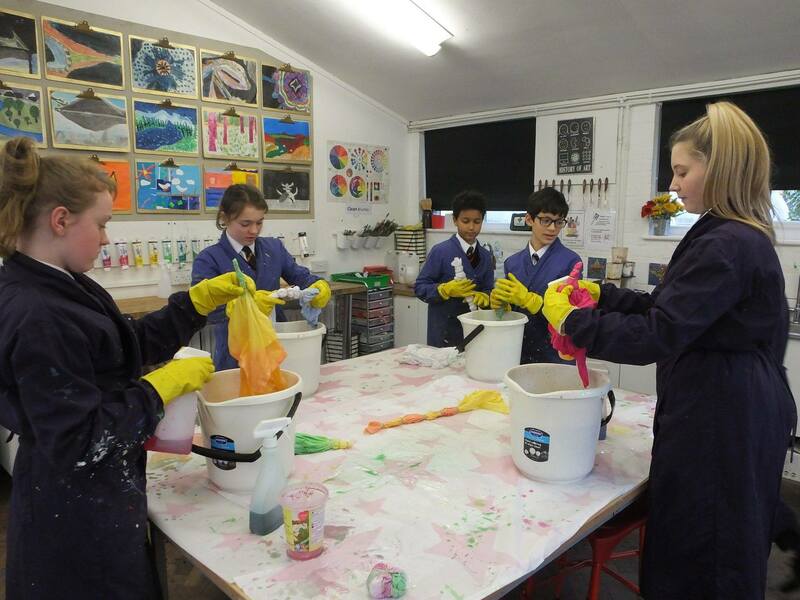 Year 8 Textiles group had a fab time tie dying their t-shirts!